Skunk Tail fibres are coarser than bucktail, and also shorter. They have a texture similar to the guard hair of a porcupine. Undyed their colour is white with black tips, when dyed this gives a superb 2 tone effect. 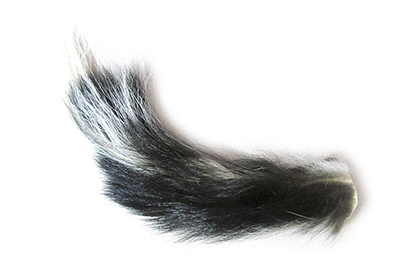 Skunk tail fibres will add an interesting effect to any hair wing patterns.